For more than 50 years, Del McCoury's music has defined authenticity for hard-core bluegrass devotees as well as a growing number of fans only vaguely familiar with the genre. Del is something special, a living link to the days when bluegrass was made only in hillbilly honkytonks, at schoolhouse shows and on the stage of the Grand Ole Opry, yet also a commandingly vital presence today, from primetime and late night TV to major music festivals. In 1992, Del formed the current version of his band and called it The Del McCoury Band. Sons Ronnie and Rob have both been in the band for more than 25 years, and it is one of the most consistent lineups of any Bluegrass band in history with just one member change in 25 years. Beginning in the mid-90’s the band won the IBMA’s Entertainer of the Year Award an unprecedented nine times in 11 years, and continues to be the most awarded artist in the history of Bluegrass music. Though this time period propelled the Del McCoury Band to the top of the bluegrass world, it also gave birth to a more startling phenomenon: the emergence of the group onto the larger musical scene as a unique torchbearer for the entire sweep of bluegrass and its history. For it turned out that the unmistakable authenticity of McCoury’s music-along with his good-natured willingness to keep alert for new sounds and new opportunities had bred fans in some unlikely places. 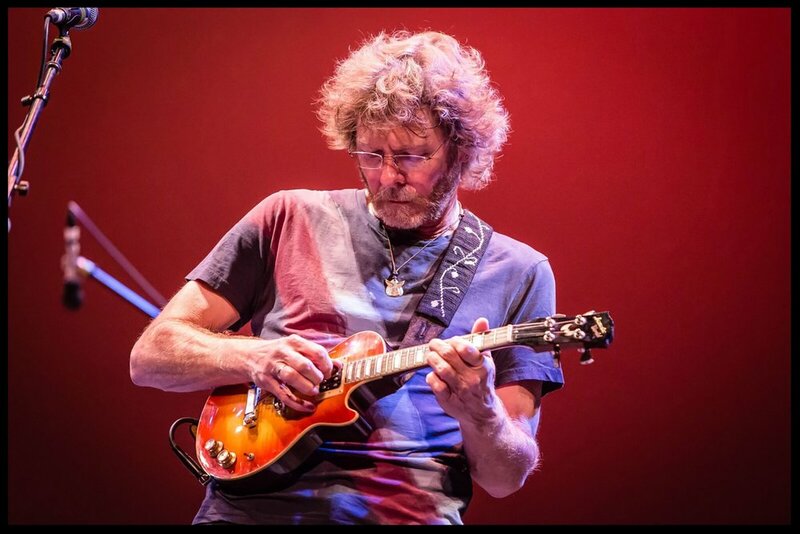 From teen fiddle champion to groundbreaking mandolinist to universally revered “King of Telluride,” there is only one Sam Bush. The son of Kentucky reared on Bill Monroe’s bluegrass came of age in the counter-culture cyclone of the late ‘60s. In the genre’s outsiders like the Osborne Brothers and The Dillards, Bush heard the future, and by the dawn of the 1970s was leading his own New Grass Revival, driven by the power of rock-and-roll and the freedom of improvisational jazz. Bush and his hippie co-conspirators changed the bluegrass landscape, touring with Leon Russell, winning fans at festivals across the country, including favored status at Telluride, and recording Grammy-winning songs. At the group’s peak, after taking aim at the top of the Country charts, Bush walked away. Subsequent stints with Emmylou Harris and Lyle Lovett brought him well-deserved recognition, numerous awards, and the gushing respect of a whole new generation of bluegrass upstarts. The once rebellious apprentice had become the genre’s gold-standard master. And now, for fans everywhere, the DVD documentary telling Bush’s full story, Revival: The Sam Bush Story, not only chronicles the life and career of the newgrass creator, but weaves an emotional, inspiring story about the risks and rewards of being a musical iconoclast. 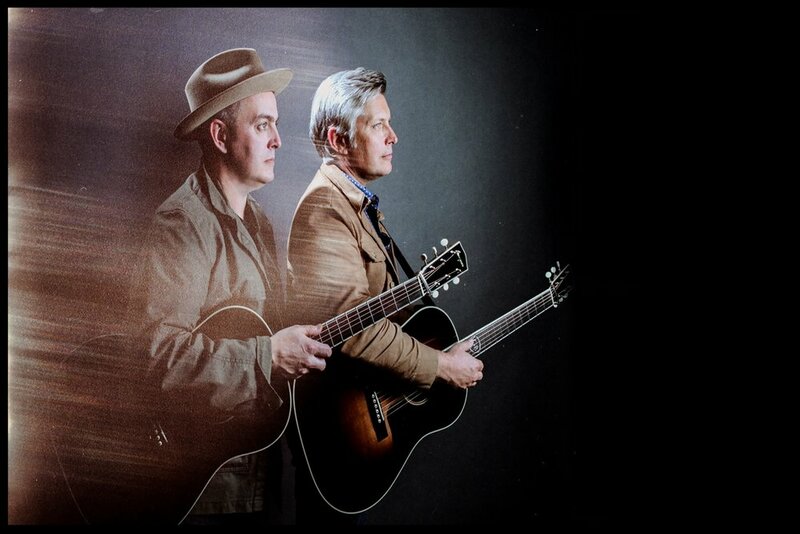 The Gibson Brothers’ brand of bluegrass is a visceral mix of heritage and soaring harmony, making them the premiere brother duet of the genre, following in the footsteps of legendary brother acts such as the Stanley Brothers, Jim & Jesse, and the Osborne Brothers. The Gibson Brothers will release their 14th album, Mockingbird, on November 9th, 2018 via Easy Eye Sound. The album, produced by Grammy Award winners Dan Auerbach and Fergie Ferguson, is not just a return to form for the Gibson Brothers, but also a rebirth, and builds on the brothers’ Bluegrass legacy and finds them playing a mix of country, soul and seventies rock. "The songs on this album are the sounds we heard growing up, riding around with our dad, who was a farmer, in his pickup, or with our mom in her station wagon,” says Leigh. “This sound was on the radio.” He cites the Eagles, Bob Seger, Tom Petty, and the warm country sounds of Don Williams, Emmylou Harris and Waylon Jennings as influences for the album. What does this mean for you? You now have the option of a Bluegrass show or what we are calling a show with the Mockingbird Band, with drums, steel guitar, telecaster, electric bass, and the same great vocals and songs. 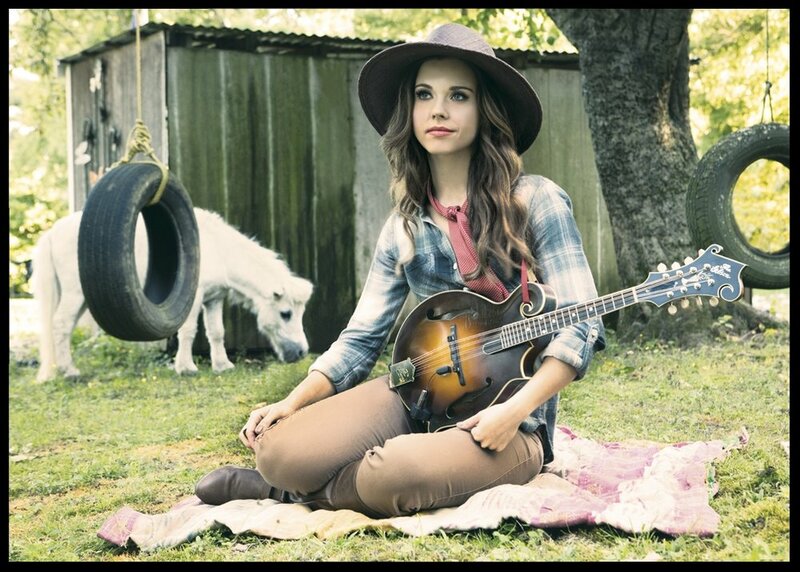 Listen to new album "Mockingbrid"
Sierra Hull—singer, mandolinist, and former child prodigy who signed with Rounder at age 13 and distinguished herself by becoming the first bluegrass musician to receive a Presidential Scholarship to the prestigious Berklee College of Music. Her resume is strong having performed at many iconic venues and places like Carnegie Hall, The Kennedy Center, Red Rocks, the Beacon Theater, and on and on. She also had the distinct privilege of performing at the White House. In recent years her music has led to many awards including three IBMA mandolin trophies in a row as well as a Grammy nomination for Best Folk Album for her 2016 release, Weighted Mind. She has performed with such notable industry heavyweights as Garth Brooks, Ricky Skaggs, The Indigo Girls, her mentor Alison Krauss, and the list goes on and on. Jens Kruger, considered by many a “modern day Mozart”, was awarded the Steve Martin Prize for Excellence in Banjo in 2013, nominated for International Bluegrass Music Association Banjo Player of the Year in 2016, and is a member of the Blue Ridge Music Hall of Fame. Available as a trio, 7-piece with the Kontras Quartet, or with full orchestras and ensembles. Based on looks alone, Chatham County Line conjures a sepia-toned timelessness by huddling around a single microphone on stage, playing traditional string band instrumentation while clad in suits and ties. But for nearly two decades, the Raleigh, NC-based outfit has consistently crafted top-notch, original modern acoustic music that draws upon American roots forefathers while acknowledging its own members’ backgrounds in rock bands. Built around songwriter/guitarist Dave Wilson’s clever lines and compelling vignettes, their sound is a treasure trove of the wistful balladry and dynamic toe-tappers that have become hallmarks of the band. John Teer (mandolin/fiddle), Chandler Holt (banjo), and Greg Readling (bass) add stellar three- and four-part harmonies for vocal highlights, while their impeccable yet unconventional picking—rooted in bluegrass but informed by a wealth of other influences—impresses without overshadowing Wilson’s rich storytelling. The Po' Ramblin' Boys' energetic and unapologetically vintage sound points to the golden era of bluegrass music, all the while appealing to a fresh audience hungry for authenticity. It’s music for the fans of Monroe, Martin, Scruggs and Stanley but also for fans who discovered bluegrass in the age of Billy Strings, Trampled By Turtles and Greensky Bluegrass. 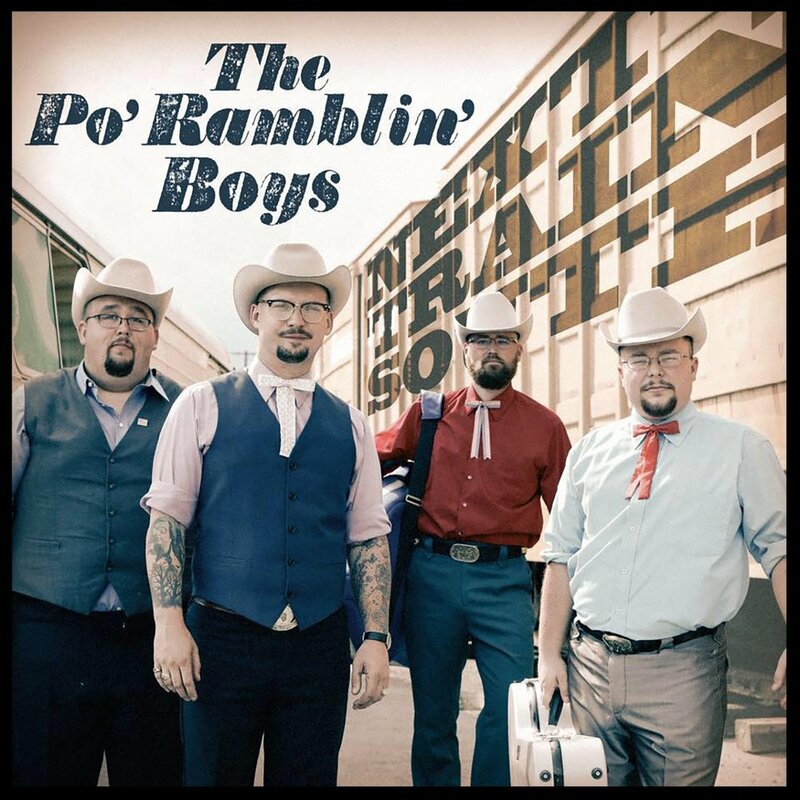 Mixing in healthy doses of their own original material, The Po’ Ramblin’ Boys are breath of fresh air on the roots music scene today. With their hearts in traditional music and their heads in the 21st century, Mile Twelve is cutting a new path. 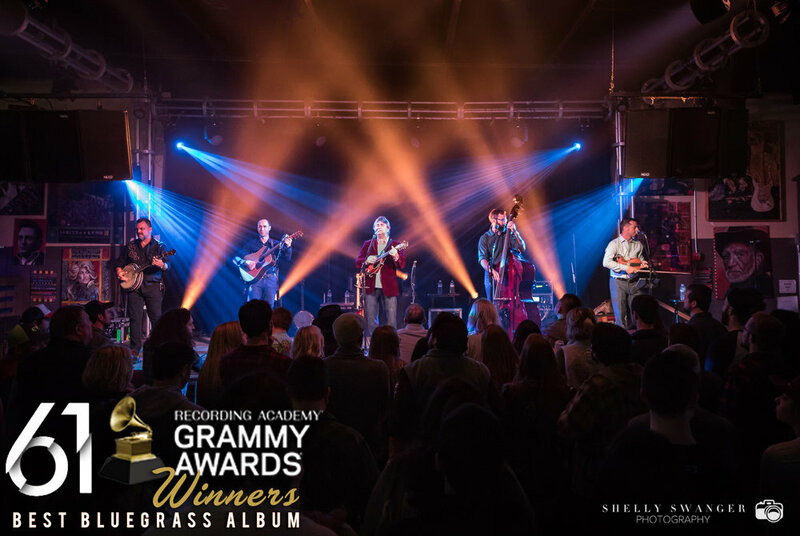 With strong connections to Boston’s Berklee College of Music and each member choosing music as a vocation very early in life, this vibrant group confidently walks the line between contemporary and traditional bluegrass. Fast gaining recognition for their outstanding performances in bluegrass and folk circles, Evan Murphy, Bronwyn Keith-Hynes, Nate Sabat, BB Bowness and David Benedict write captivating songs and complex instrumental pieces from diverse influences that has garnered them respect among not only top tier festivals but their musical peers as well. When Ronnie Bowman, Garnet Bowman and Dré Anders sang together for the first time last year at DelFest, it was a perfect fit- for them and the audience…so, the McCoury family festival can take credit for launching another new group. A vocal trio, featuring Ronnie, the hit songwriter and former lead singer of The Lonesome River Band, Garnet, his partner in life and in demand Nashville session singer, and Dré, Swedish born, folk singer and founder/lead vocalist of Dré and The Collective. Together, their harmonies evoke the folk music of the 70's...peace, love, and songs with something to say.